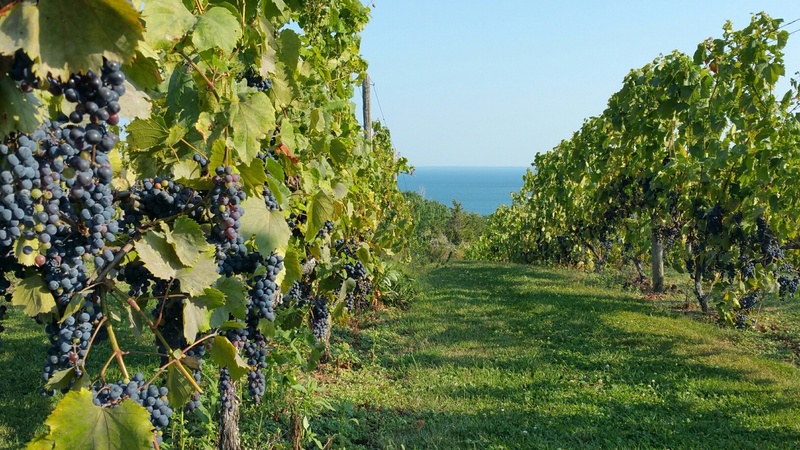 Historically, Prince Edward County has been known for the fruit (and vegetables, grain and dairy) grown in its soils. Much of that farming almost died away a generation or two ago but fruit growing has been making a comeback in recent years and has helped boost tourism to the County. Yesterday we enjoyed a drive to the Waupoos region, just a few miles to the north-east of our area. Our favourite part of it features a number of farms on a beautiful south-facing slope that ends down at the lakeshore. 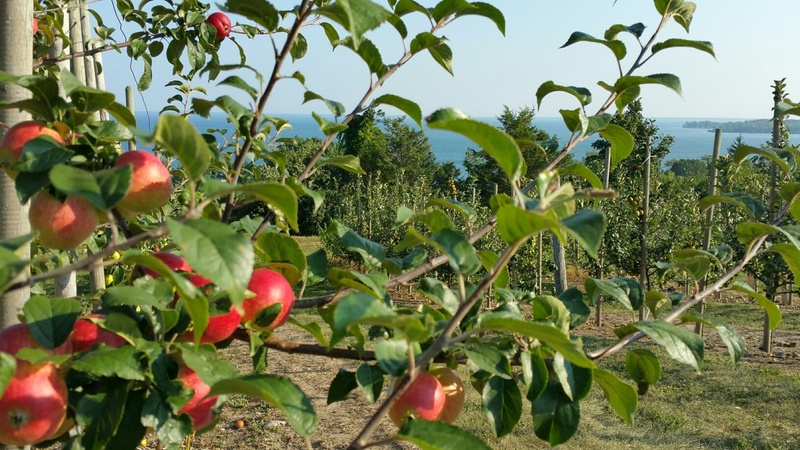 One can’t just walk onto these apple orchards and vineyards and start taking photos but the County Cider Company, situated on a historic farm, does welcome visitors to explore its orchard and vineyard and we accepted the offer. 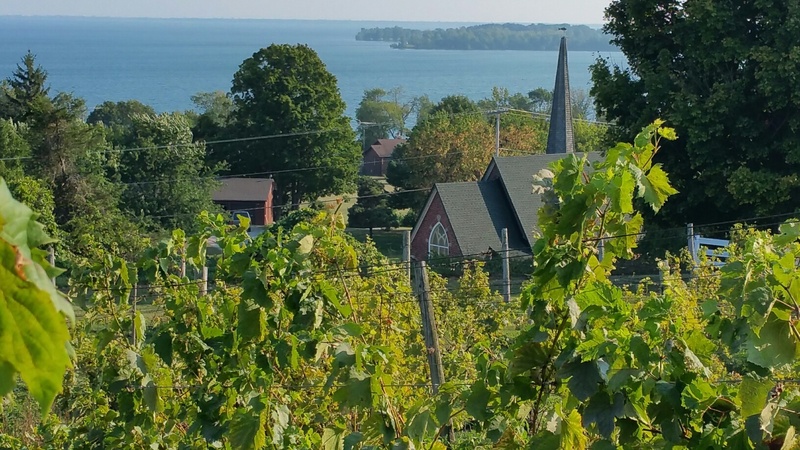 The little Anglican church in Waupoos, just below the vineyard. In the background is Waupoos Island which lies just off-shore from Morrison Point, where our farm is located. 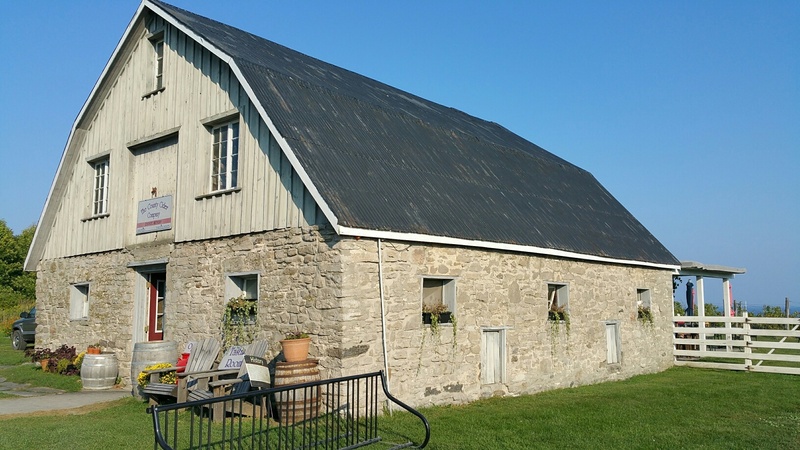 Pig barn built in 1832 which now serves as the shop for the County Cider Company, Waupoos.